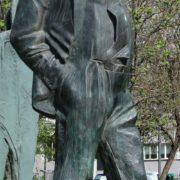 The monument stands opposite the American embassy, ​​and Brodsky faces the embassy. 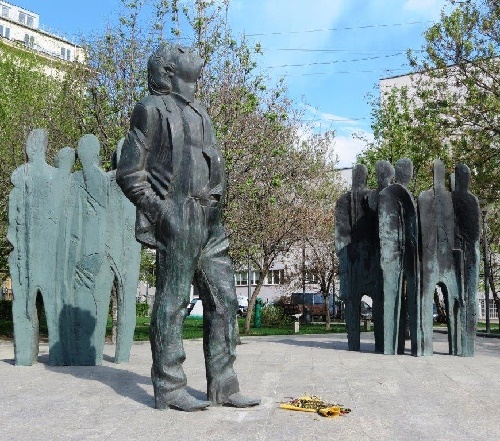 It is known that Brodsky was persecuted by the Soviet government and on June 4, 1972 he was forced to leave the USSR and elect emigration. 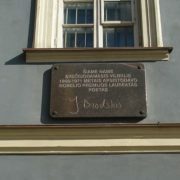 At first Brodsky lived for some time in Europe, and then flew to the United States, where he lived and worked fruitfully until his death. 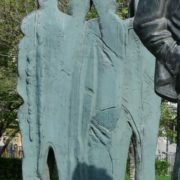 That is, in a similar image, one can see a hint that the compatriots did not recognize the poet as a whole. However, in other countries he received recognition, popularity and veneration of his talent. 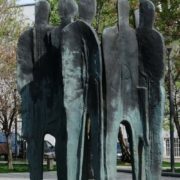 And the groups of people around the silhouette of Brodsky are flat and faceless, as if the sculptor expresses his pain for the fate of the poet. 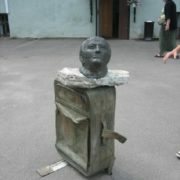 In particular, that contemporaries-compatriots were blind and cruel in their punishment over Brodsky. 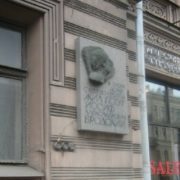 The most discussed was the fact that the monument was not in St. Petersburg, where Brodsky was born and lived, but in Moscow. 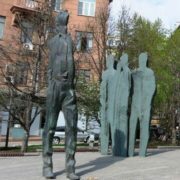 Actor Veniamin Smekhov asked directly the sculptor about this. 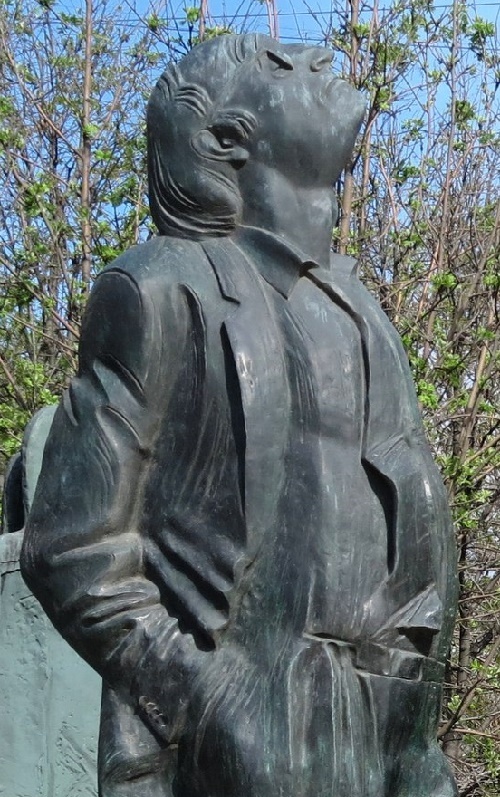 “Balzac was not born in Paris either,” said Frangulyan, implying that the monument to the writer is in the French capital. 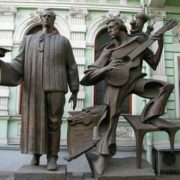 But, by the way, there is a monument in St. Petersburg. 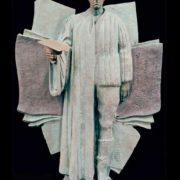 Another thing is that it is difficult to see it – it is located in the courtyard of the philological faculty of St. Petersburg University.